This new book presents a summary of Alzheimer’s disease-related ischemic protein changes and gene expression as risk factors for the late-onset of sporadic Alzheimer’s disease, and their role in Alzheimer’s disease ischemic etiology. Ischemic brain changes were noted in the staining of different parts of an amyloid protein precursor, presenilin 1 and 2, tau protein, alfa-synuclein, and apolipoproteins A1, E and J. Current advances in understanding the ischemic etiology of Alzheimer’s disease has revealed dysregulation of Alzheimer’s disease-associated genes including presenilin 1 and 2, β-secretase, amyloid protein precursor, apoptosis, autophagy, mitophagy, and tau protein. 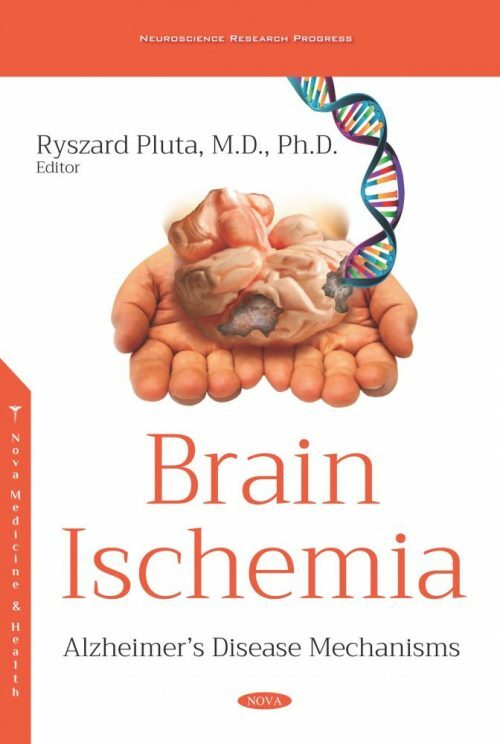 This book presents the relationship between these genes, dysregulated by cerebral ischemia, and the cellular and tissue neuropathology characteristic of Alzheimer’s disease. This book draws attention to the latest research confirming the theory that Alzheimer’s disease-related proteins and genes play an important role in ischemic brain damage, and ischemia is an essential and leading supplier for the onset and progression of sporadic Alzheimer’s disease. The above data comes from the latest research from leading and renowned scientists around the world, who present important information on the understanding of the ischemic etiology of Alzheimer’s disease. In the future, it is likely that the manipulation of ischemia and ischemia-activated Alzheimer’s disease-associated genes and their proteins will give new hope for the development of causal therapies urgently needed to prevent or treat neurodegenerative diseases such as Alzheimer’s disease. 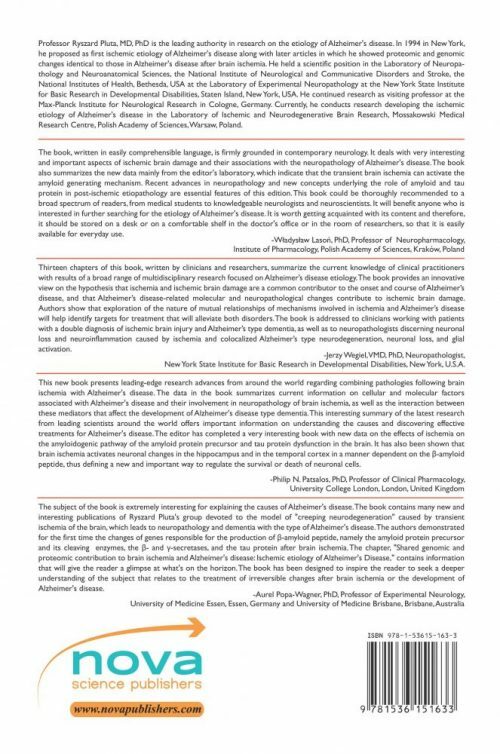 An innovative/modern approach to the etiology of Alzheimer’s disease in the chapter XII “Ischemic etiology of Alzheimer’s disease” will give the reader a glimpse of what is on the horizon.